Wainscoting is becoming more and more popular nowadays, and no wonder why: it adds style and beauty to any room. Here are a few ideas on how to make it work! The furniture is one of the most integral parts of interior decor, and a small space makes it hard to get the right pieces without cluttering. Here are some great ideas to make the most out of small spaces! People often think winter is the worst time for renovation projects, but that’s not true: there are TONS of projects that are better done during winter. Getting a christmas gift for couples just got a lot easier with our list of creative ideas! Fan ceilings are certainly practical, but it doesn’t take much for one to be off putting when compared with the style of the rest of the room. Here’s how to fix that. Whether you’re planning on selling your home or you simply want your home to look its best, here are six fall home improvement projects with a substantial ROI. Want to make this Father’s Day even more special? Here are five tips to give your dad the best Father’s Day ever. Want to spend your weekend doing something creative? Take a look at these six super simple DIY projects anyone can do! This Mother’s Day, give your mom something handmade and heartfelt! These 6 DIY Mother’s Day cards are the perfect way to do just that! Get your home ready for St. Patrick's Day with these super easy DIY decorations! Want to give a unique and heartfelt gift this year for Valentine's Day? Check out these incredible and lovely DIY Valentine's Day gifts! Do you like birdcages? Well here are some interesting decor ideas with them! When you're looking for fun and quick New Year's decor options, this article is your best bet. Summer just got a whole lot easier with these simple and yet awesome life hacks! 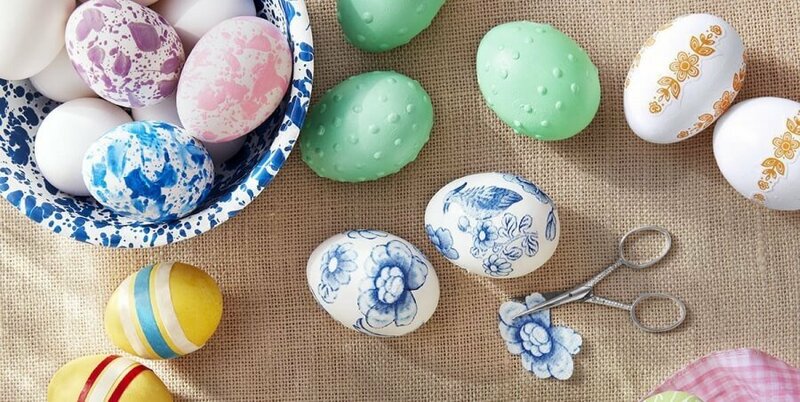 Here are some quick and fun DIY projects you can start and finish this weekend! Make your summer even better by filling your bucket list with these amazing ideas! These vanity table designs will inspire you with the best storage lighting ideas! Are you looking for fun, patriotic DIY crafts for the family? Then take a look at this article! Join in on the fun of April Fools’ Day with these simple yet hilarious pranks that are perfect to play on your family, children and loved ones. To celebrate National Dog Biscuit Day, check out these easy and fun biscuit recipes to surprise your furry companion! Bedroom decor for your teenage son? You've come to the right place. Here's an article to guide you through it. 6 Incredible Teen Girl's Room Decor Ideas! The most beautiful ideas for a teen girl bedroom - get inspired and try something new! This Valentine’s Day, instead of opting for unoriginal and over-priced store-bought treats, what about making delicious healthy treats your sweetheart will love? It’s Valentine's time in America and it’s time to celebrate all the wonderful things that come with being with the one you love. 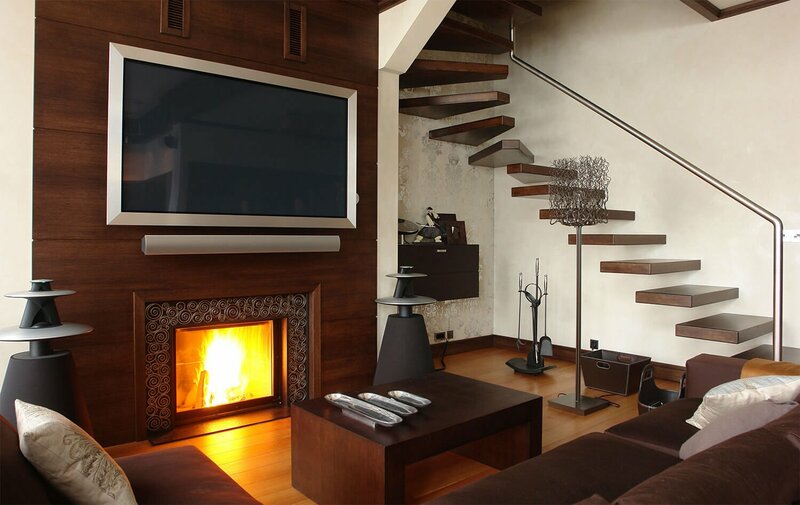 The new year is upon us and it's time to check the latest in fireplace trends! Take a look at this article to get an idea of the new trending fireplace ideas. Want to throw an epic New Year's Eve party? Here's how! Here is all you need to start your Christmas decorating! With Thanksgiving upon us, most families are doing the impossible to get everything prepared and ready in time for Thanksgiving dinner. Check out this delicious list of treats below! Sweet potato pie may be an American favorite, but If you’re looking to try something unique this Thanksgiving - rather than the standard candied sweet potatoes and mashed sweet potatoes - we have some wonderful recipes for you to try! You’ve decided you want to put your house for sale. Now you need to prepare it. There are several things you can do to get it ready to show. Buyers can get very picky, but if you properly prepare your home, you will be able to impress them and get a good value for the sale. The ocean fascinates us in so many ways. This coffee table created by London designer Christopher Duffy will allow you to have a piece of the ocean in your living room. You don’t have to wait until you make it big after college in order to start working on your home decor ideas. Every single room in our lives will bring back a whole lot of memories no matter how small they are and how much money we have. It’s your room to make it reflect your innermost creative soul. There’s no better time in life to be original than now, so get ready and start creating the room of your dreams small project by small project. We all know how easily an innocent trip to Target can become a self indulgent shopping spree. These guys really do an amazing job in getting us to spend money on things that we don’t really need. These genius hacks will upgrade the items you already bought or that you’re about to (eventually) buy next time you walk past those doors. Want to update your staircase? There are many different ways you can turn your boring staircase into a work of art, so we've rounded up five of our favorites to help inspire you. Parenthood can be a difficult and daunting task for parents of first-time, but with some clever and creative strategies like these geniuses parents came up with, it is easy and fun. You know those vintage door knobs that many people would rather send to recycling due to not knowing what to do with them? In my philosophy, anything broken or deemed old-fashioned can still be reused. The old vintage door knobs you throw away can be repurposed in many ways from creating unique drawer pulls to making impressive wall décor. It’s all about developing a mindset of repurposing things for more interesting uses. Here are a few ideas on how you can reuse old door knobs. It’s simply astonishing! A vase with a floating plant in your living room. Sounds like science fiction but it already exists and it's called the Air Bonsai. Learn more about the beautiful technological piece of art. The real beauty of incorporating pebbles in your home decoration is the fact that pebbles are natural and unique. Every floor or bathroom decoration you create with pebbles will be unique and not found in any other home. Pebble-made items can never be identical. Pebble DIY projects are inexpensive too. You can even have your children collect piles of pebbles while at the beach or buy them at your local builders for cheap. Here are a few exotic yet modern ways to use pebbles to create crafty DIY home décor items for close to zero expenses. Easy manicure? Yes, there is such thing. So girls who don’t have a knack for it - you don’t need to panic. You can count on hacks that will result in ultra modern and beautiful nails. In the end you may find out that you have a way with it, after all these hacks make it so easy we almost dare to say that all you need are your hands. Our laundry rooms are becoming smaller and smaller. Partly because people don’t do laundry as much and partly because many people don’t think laundry rooms need to be spacious. Those who take care of the house know how this space is important in our daily lives. To help you organize your laundry, we have selected here five inspiring ideas for you to make the best of your laundry space and your time. Many people find that designing a product is a very simple thing. When coming up with a new product, you have to think about thousands of factors. In this post we selected some of the worst failures in product design. Just to add more proof that one should pay close attention to all possibilities of things going wrong before creating a new product. We like to post about organization not only because it has become a global trend, but we like to show that it is entirely possible to organize any aspect of your life by spending little money and using your creativity. It can be a challenge to look at a corner of our lives and imagine it organized in a more practical way. We really like to seek innovations to organize our routines using imagination. Below, we have made a selection of ideas to provide you with inspiration and a dose of courage so you can get started. The Fourth of July is a time for summertime fun, glittering fireworks, and celebrating with friends and family. When decorating for the 4th of July, we should look for things that are all-American so that the spirit of our Founding Fathers can inspire and animate our best feelings about our country. Did you know that mason jars are sort of an American institution? They were invented and patented in Philly, back in 1857. So we think that’s a great idea to incorporate them in this fantastic summer holiday. We have searched the web and found great ideas for you to use mason jars in a way that will make your friends and family embrace the American spirit. We love pandas, that’s a fact. And it’s just not because they are pretty. Pandas make children laugh while being cute, fun and shy. They are rare, peaceful vegetarians, cultural symbols and most of all, they remind us of ourselves. We have searched the web and found some very very cool panda items that we are sure you will love. Take a look and get ready to make your home super adorable with these incredible panda items! This is so amazing that we are sure you will roll up your sleeves, destroy the cover of your old “90's Hit Parade” CD and make art to see if it really works. We have tried ourselves. And guess what? It works! Ever stare at your coffee table and wonder how to make it look like a it was styled by a professional designer? Now you can! Here are 12 easy ideas you can use to style your coffee table. Take your home’s organization to the next level with these incredibly ingenious and creative organization hacks. From a slim knife drawer to compartmentalized food drawers, these are the 13 organizers you’ll want in your dream home. For all those moms who love a good DIY project and have trouble throwing out perfectly good kids’ toys, we’ve got the perfect solution for you! Use your DIY skills to turn your old kids’ toys into incredible home decor pieces. A happy home can be different for each person! For some is dogs running around, a special hobby, the perfect companion...Here are ideas for a happy home you can do by tonight! Reduce, reuse, and...upcycle? Whether you’re an avid DIYer or just getting started, upcycling is a great way to do your part for Earth Day this Friday. Check out these amazing ideas! We all love the look of reclaimed wood and the benefits it provides for our planet. These ten amazing pieces of upcycled art allows you to bring the reclaimed charm into your home in some really unique ways. Super bowl parties are almost here, and if you want to throw the ultimate bash than this article is for you. It’s not just about chips and beer, it’s about connecting with your friends over sports experiences and generally bonding with your buddies. Even if sometimes that bonding brings out the competitive nature in people. So join the rest of the fans and tune in, have a drink, and enjoy some appetizers in the name of football. If the holiday party is at your house this year, you’re going to need a game plan and some show-stopping holiday decorations to make sure you wow your guests. Make the Yuletide merry and bright with these holiday hosting decor tips. From a crackling cedar in the fireplace to the rich warmth of hot cocoa, there’s nothing quite like the aroma and atmosphere of the holidays. To fill your home with the smells of the season use these simple tricks and see the holidays through in sumptuous style. Looking for a new addition to your basement? Get a home bar installed. You’ll love being able to spend time with friends and family in your finished basement while enjoying a nice glass of wine or a cold beer. Here are our favorite basement bar additions to give you some inspiration. Top Five “Must Have” Features for Your Halloween Party! It’s that time of year again where ghosts and goblins are coming to your home… to party! No Halloween bash is quite complete without those unique party favors that make the atmosphere. Here are some memorable and creative “must have” ideas for the guys and ghouls who are going to be guests in your home. Planning a remodel, but worried the cost of the project is out of your budget? Don’t worry - we’ve compiled a list of materials to choose that give you the best value for your money. Take a look, and get your remodel underway! Hurricanes can be scary, damaging, and even deadly. With wind speeds of at least 74 miles per hour, hurricanes can cause significant damage. If you live in an area that is affected by hurricanes, you need to be prepared. Read on to see how you can help keep you and your family safe during a hurricane. You may not be the one moving in, but you can still help your teen feel at home (even if they’re far away) in their new dorm room. Here are some ideas about how you can support the new collegiate decorating their first home away from home! Stretching your home out with new additions and major room remodels can have a huge effect on the feel of your home and it's value. Get some inspiration with our quick look at the most popular home addition projects today! If you’re unsure where to start with your basement remodel plans, don't worry. There's a world of ideas to consider that help make sure that soon your unused area will be your new favorite room, no matter the budget or function you decide on.